Here on 16th June, 2016 we provide you Quaid e Azam Solar Power Jobs 2016 for Admin Officer Advertisement Latest. 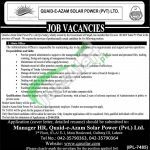 Jobs in QA Solar Quaid e Azam Solar Power Pvt. Ltd are available and it is seeking for Punjab Domiciled candidates who are well educated, hardworking and well disciplined against the following position such as (Admin Officer). QA Solar Power is an equal opportunity employer due to which Females are encouraged to apply. Appointment of this position will be held on contract basis and it is extendable on satisfactory performance of individual. Candidate willing to apply should possess Bachelor degree from HEC recognized university with at least 2 years of relevant experience of Administration in public or private sector. For further information about responsibilities and skills please examine following image posted below. After successful selection the selected candidates will be offered marked based salary and fringe benefits as per the policy of company. So, viewers if you possess all above mentioned qualities then you are welcome to apply as per the following how to apply procedure given below as per the rules of QA Solar. Applications along with cover letter, detailed resume and other documents should reach the following address given below. Please clearly mark the envelope for the position applied for. Last date for submission of application is 29th June, 2016. Only qualified individuals will be called for interview. No TA/DA will be paid for the purpose of interview. Last Date to Apply: 29th June, 2016. Address: Manager HR, Quaid-e-Azam Solar Power Pvt. 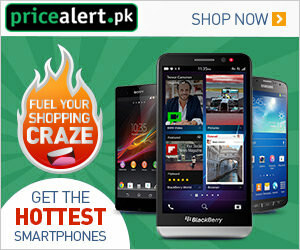 Ltd. 3rd Floor, 83-A/E-1, Main Boulevard, Gulberg III, Lahore.